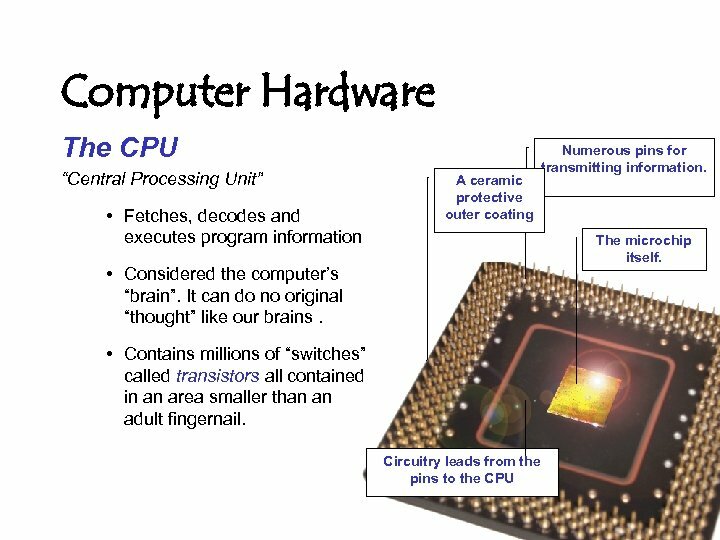 Hardware vs Software • Hardware is anything you can physically touch. 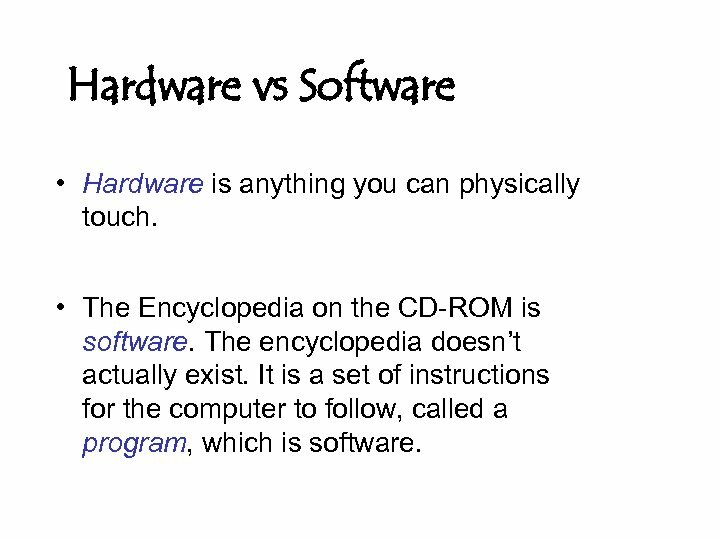 • The Encyclopedia on the CD-ROM is software. The encyclopedia doesn’t actually exist. 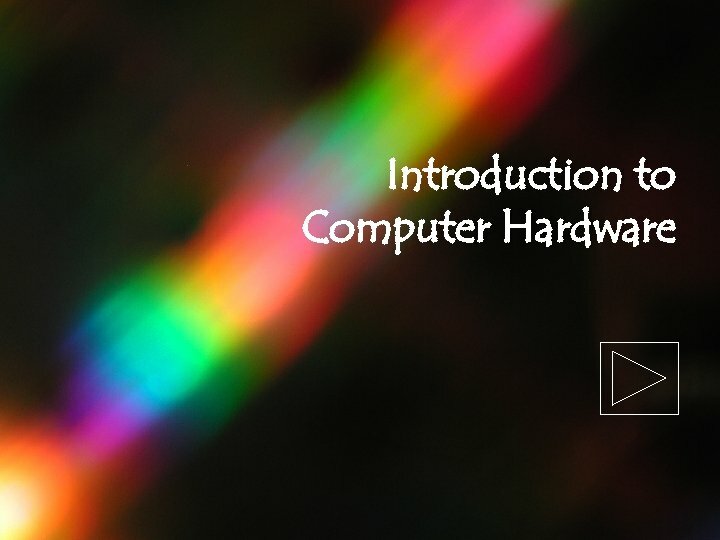 It is a set of instructions for the computer to follow, called a program, which is software. 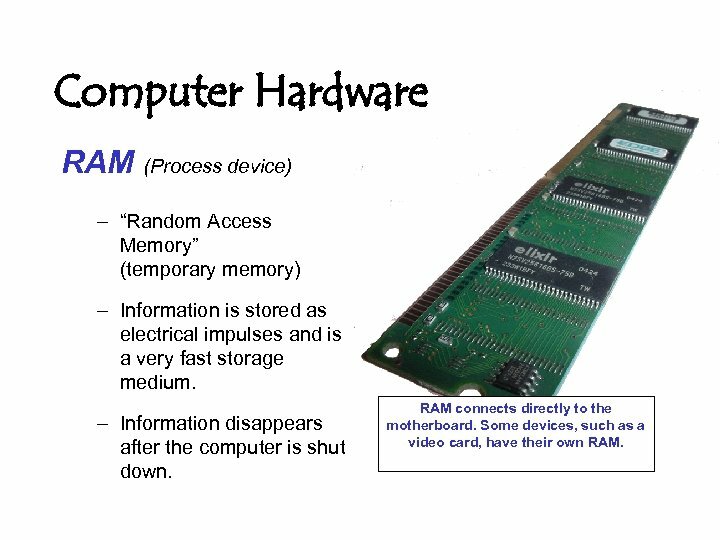 Computer Hardware RAM (Process device) – “Random Access Memory” (temporary memory) – Information is stored as electrical impulses and is a very fast storage medium. – Information disappears after the computer is shut down. RAM connects directly to the motherboard. 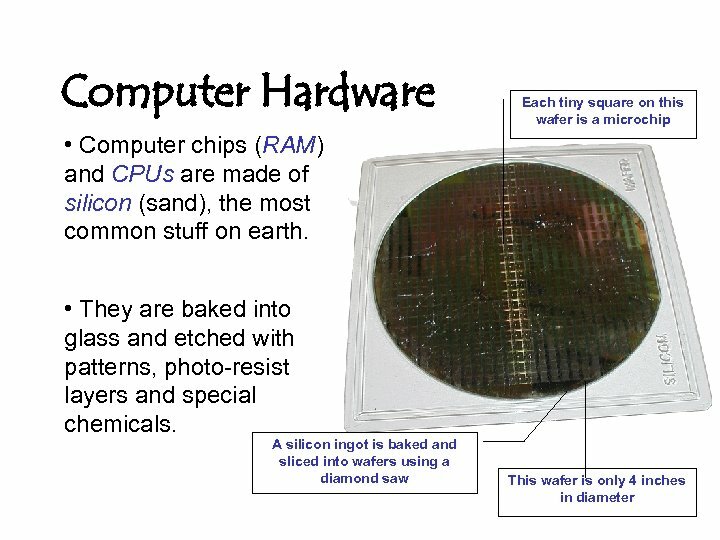 Some devices, such as a video card, have their own RAM. 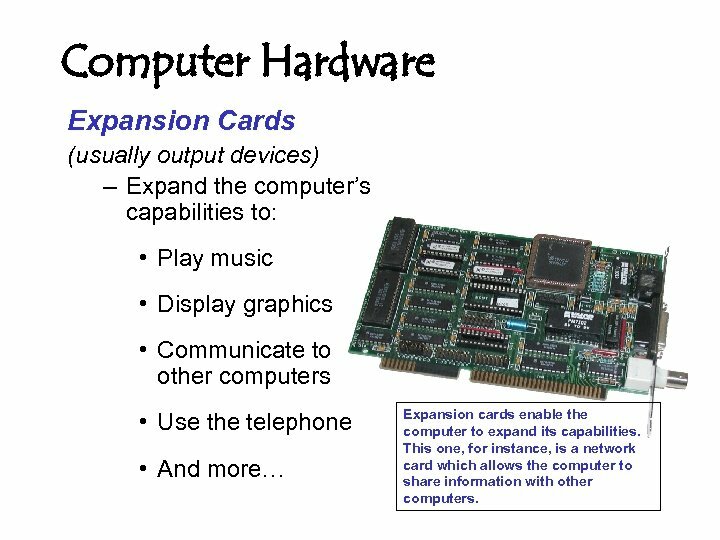 Computer Hardware Expansion Cards (usually output devices) – Expand the computer’s capabilities to: • Play music • Display graphics • Communicate to other computers • Use the telephone • And more… Expansion cards enable the computer to expand its capabilities. 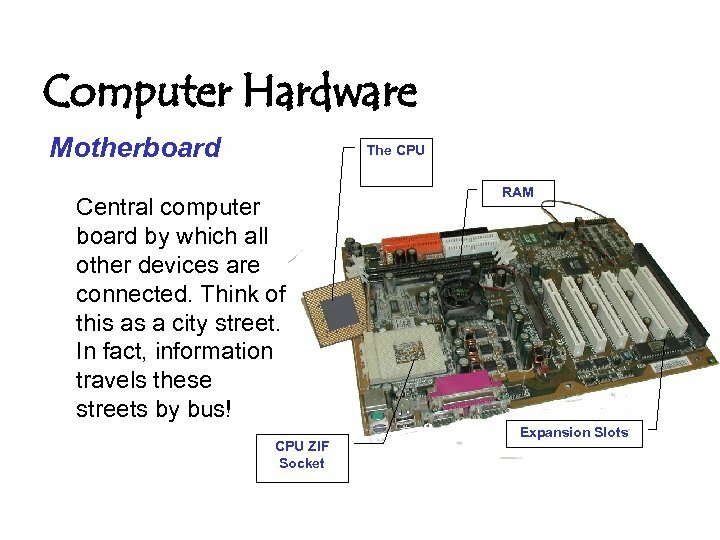 This one, for instance, is a network card which allows the computer to share information with other computers. 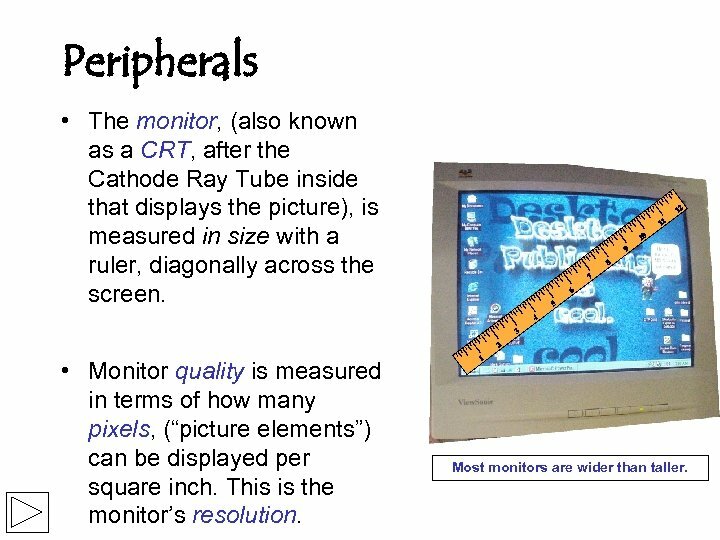 Peripherals • The monitor, (also known as a CRT, after the Cathode Ray Tube inside that displays the picture), is measured in size with a ruler, diagonally across the screen. • Monitor quality is measured in terms of how many pixels, (“picture elements”) can be displayed per square inch. This is the monitor’s resolution. Most monitors are wider than taller. 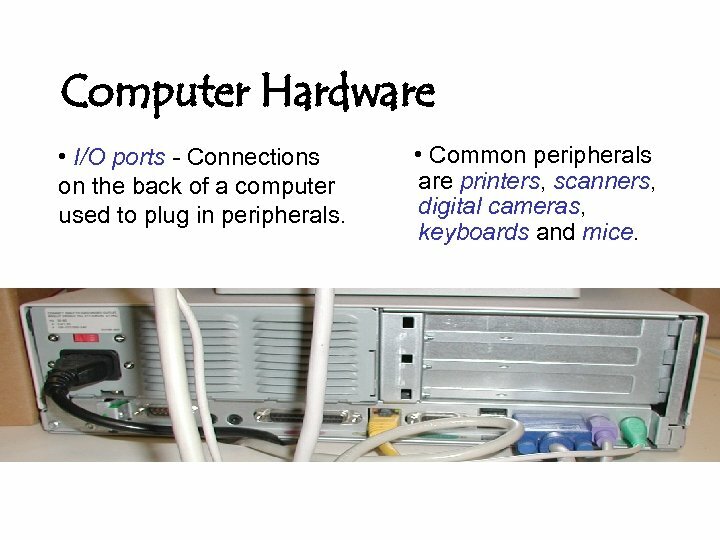 Computer Hardware • I/O ports - Connections on the back of a computer used to plug in peripherals. 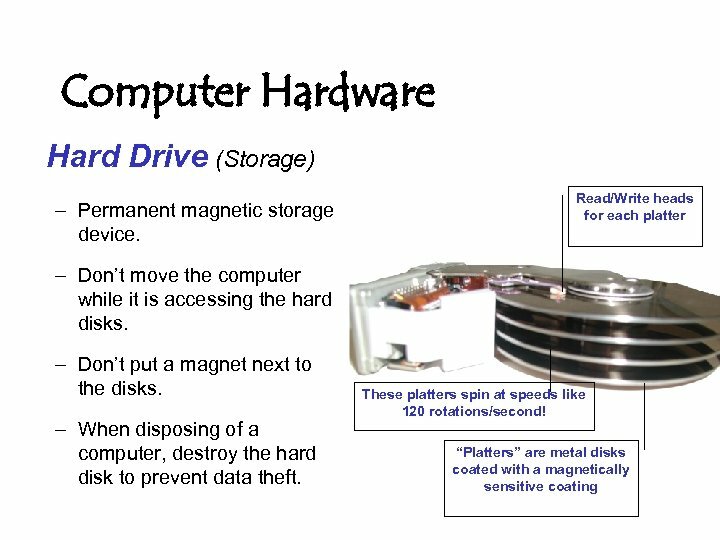 • Common peripherals are printers, scanners, digital cameras, keyboards and mice. 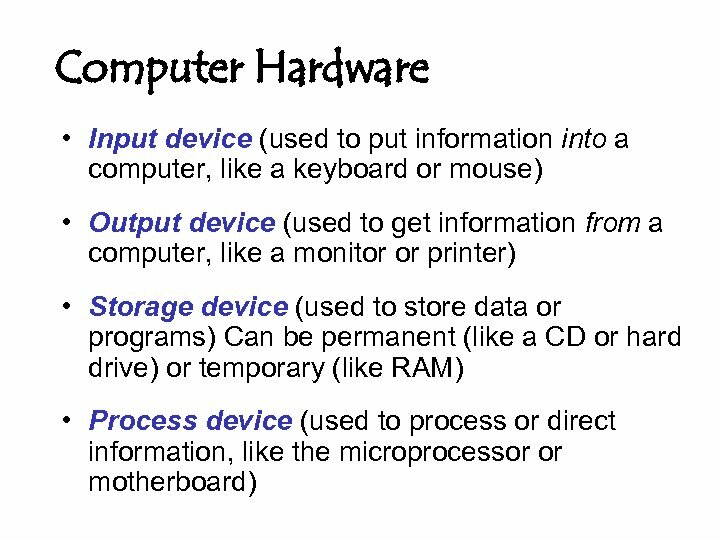 Software • Software refers to a set of instructions that tells the computer what to do. 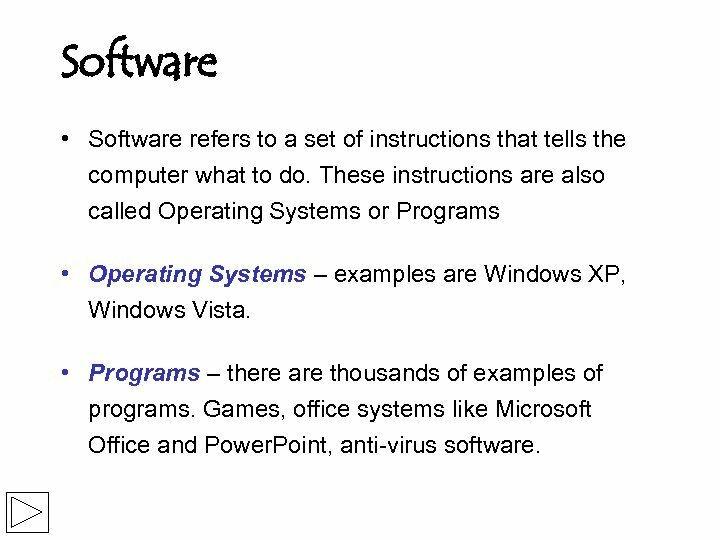 These instructions are also called Operating Systems or Programs • Operating Systems – examples are Windows XP, Windows Vista. 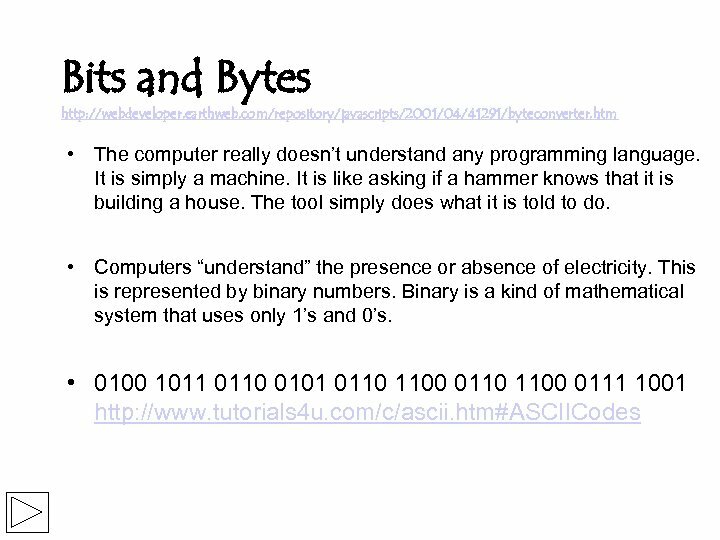 • Programs – there are thousands of examples of programs. Games, office systems like Microsoft Office and Power. Point, anti-virus software.